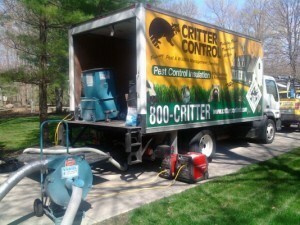 Founded in 1983 by Kevin Clark, Critter Control was developed around an entirely new vision for animal control and wildlife removal. All of our locations in North America (120 and counting) consistently practice Humane wildlife management. We handle animals large and small, with a focus on vertebrate pests such as squirrels, raccoons, bats and a variety of birds. Our services focus on getting rid of animals, preventing them from causing damage and/or repairing the damage they’ve already caused. Critter Control established standards of excellence in animal pest control and upholds these standards with a professional staff of biologists, zoologists animal control officers and anti-cruelty personnel. Our highly experienced and qualified animal control teams can assist in any wildlife animal control problem, ranging from bird control to alligator removal. We utilize humane animal handling strategies in all situations. In addition to these services, Critter Control offers other related environmental and ecological products and services, such as our Wildlife Management Supplies. We also offer services under other trade names, including Critter Safe and Eco-Wise (green pest control). 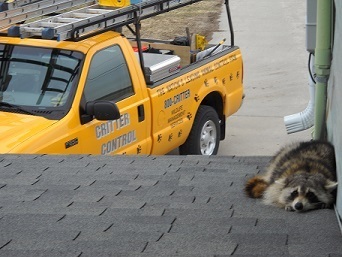 Critter Control of Greater Orlando agrees to protect the structure at the address above against animal damage or entry for all repairs and exclusion measures that we have performed, with the exception of temporary repairs and contingencies listed on original agreement that are not applicable to be warrantied (see original service agreement). If an animal does damage, penetrate or otherwise gain access through our permanent repair or exclusion device during the warranty period, we will remove the animal(s) and reinforce the repair at no charge to the property owner.